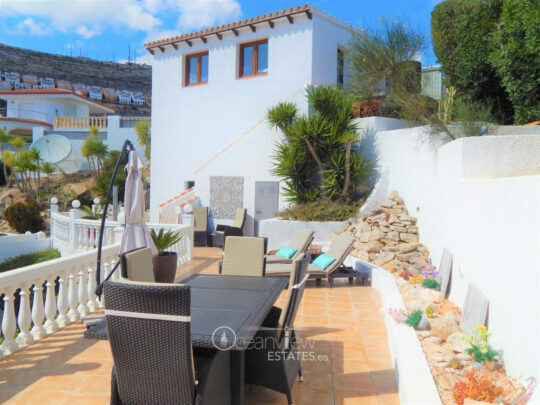 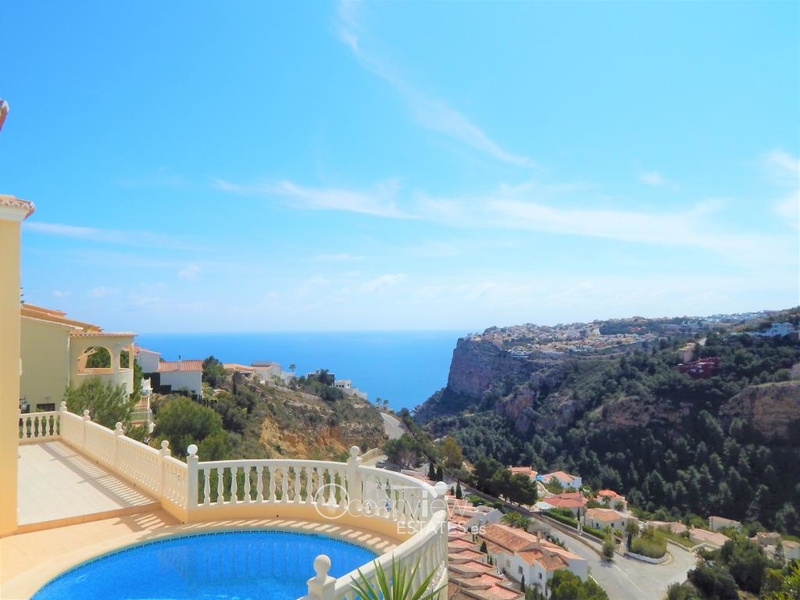 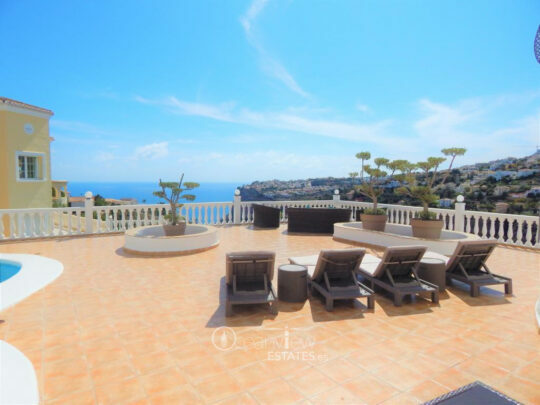 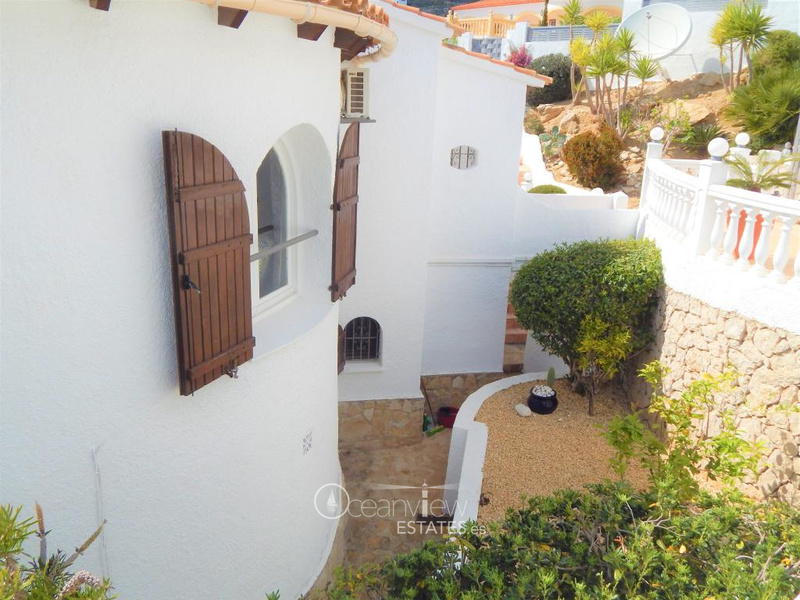 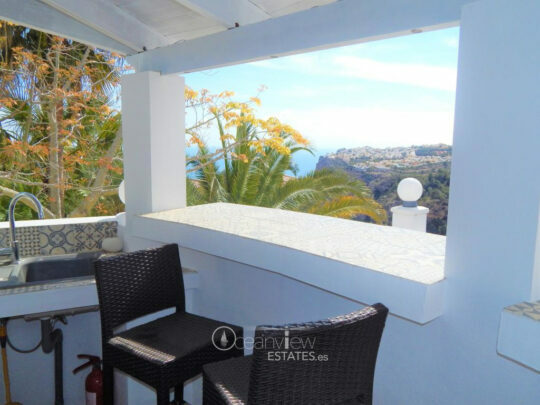 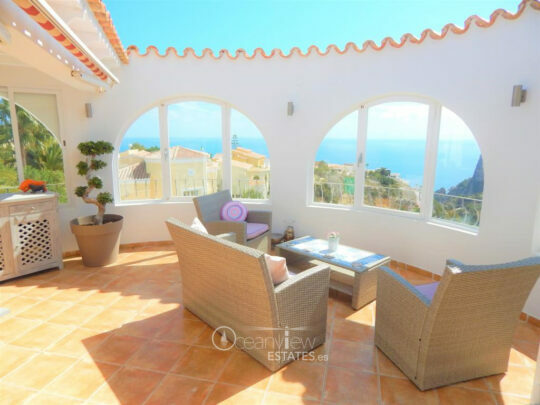 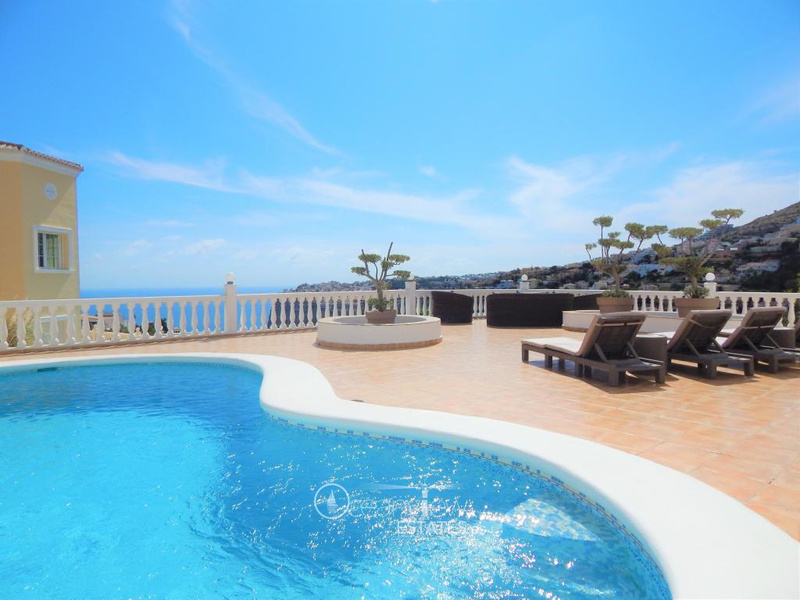 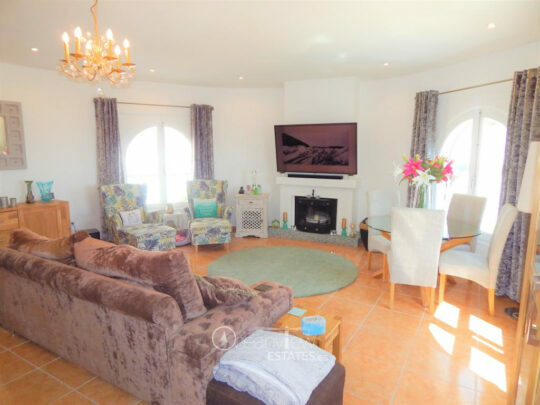 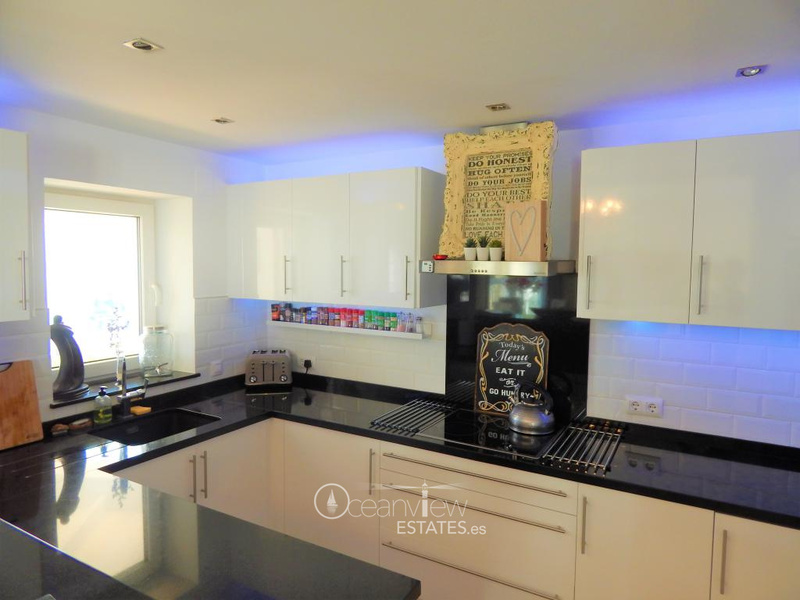 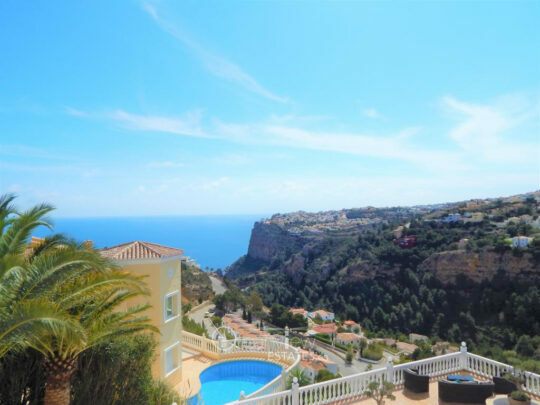 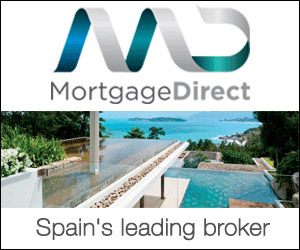 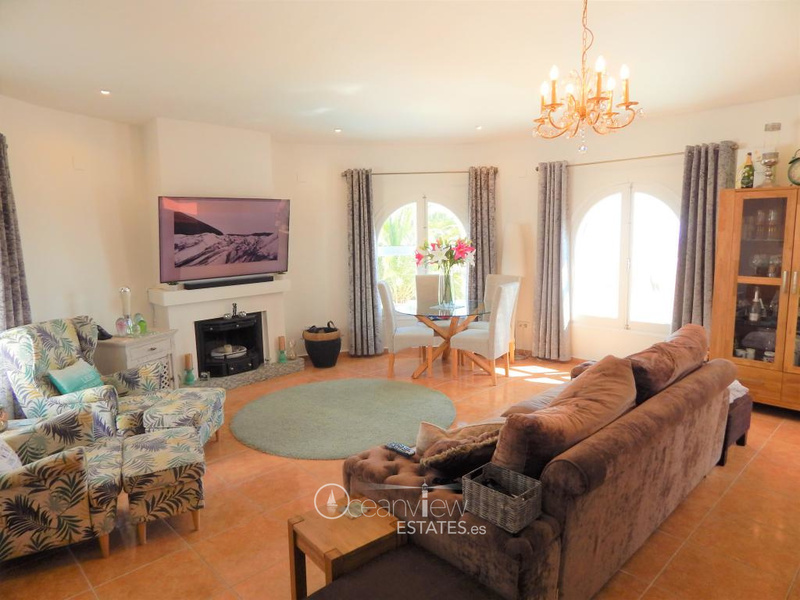 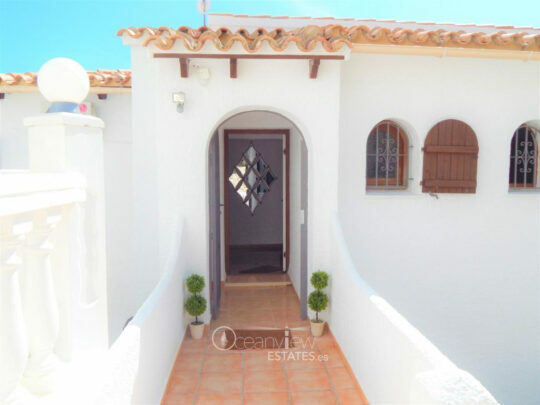 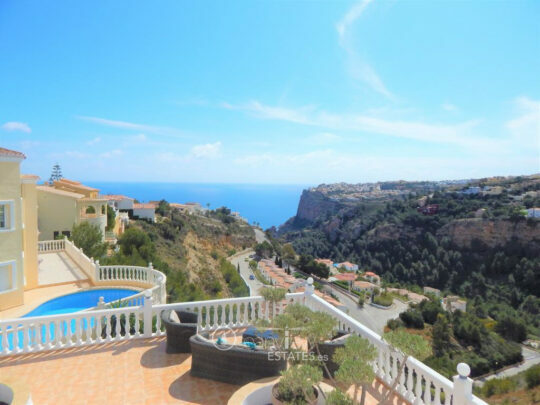 The property enjoys panoramic sea and mountain views and is in immaculate condition. 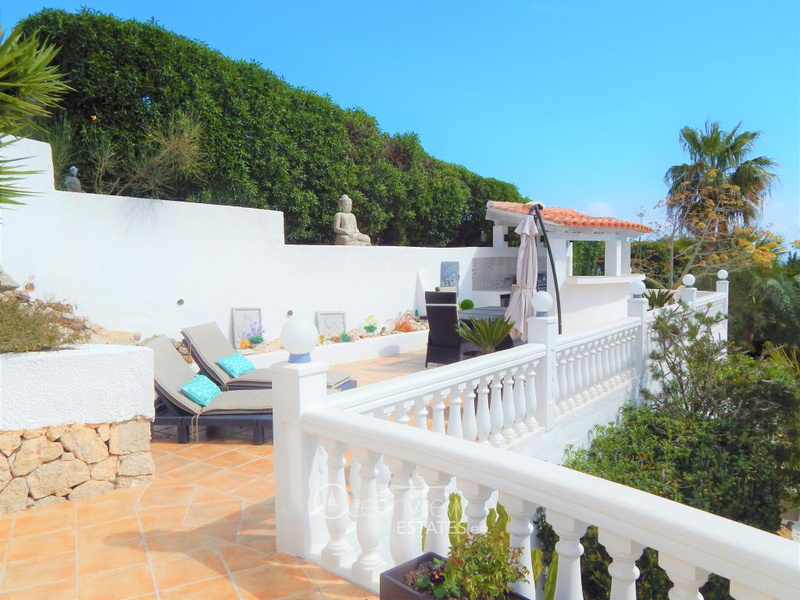 The villa is set over three levels. The upper level consists of a large open living and dining area with open plan kitchen, this leads out to a private terrace overlooking the Mediterranean. 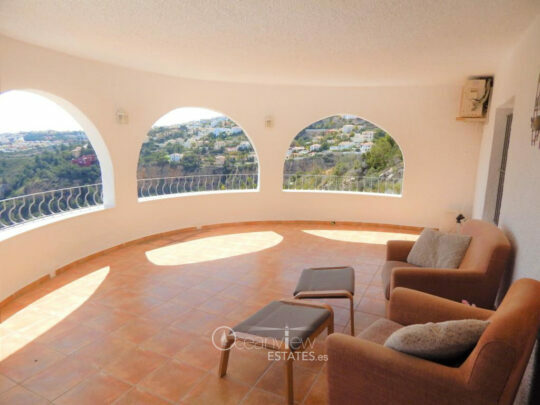 The upper level has the master bedroom with patio doors that lead out onto to the terrace. 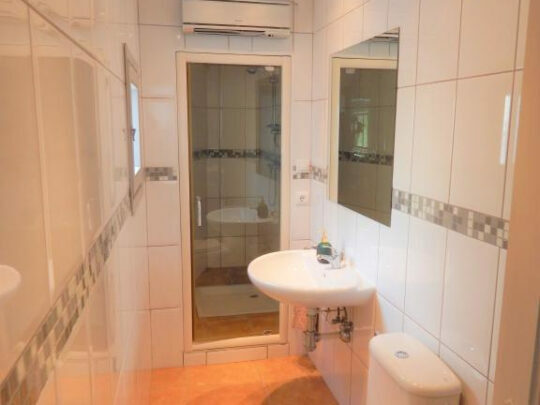 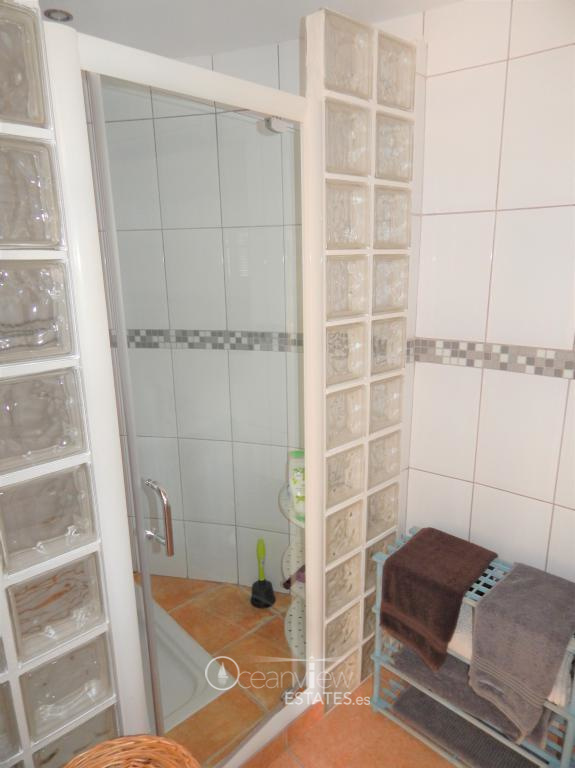 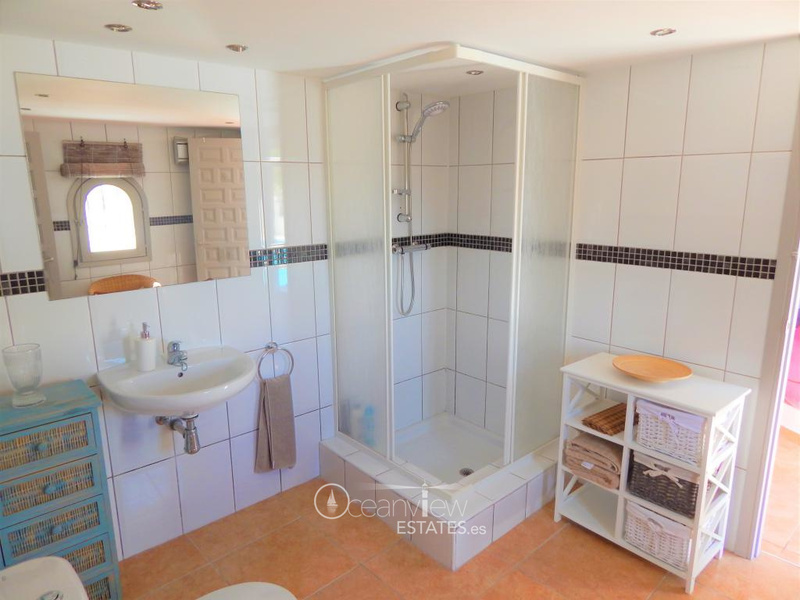 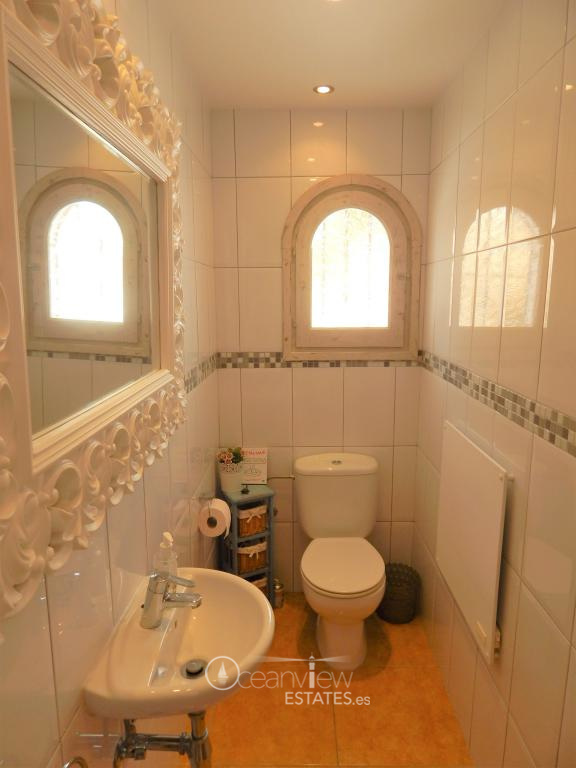 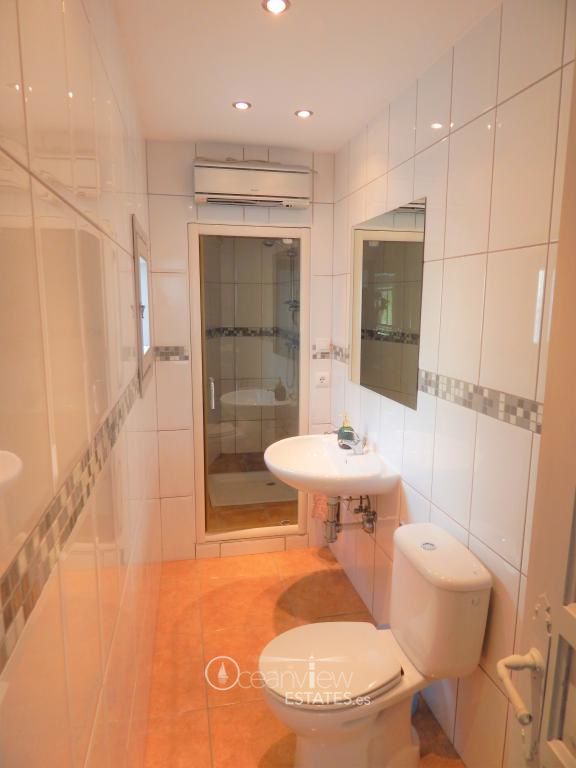 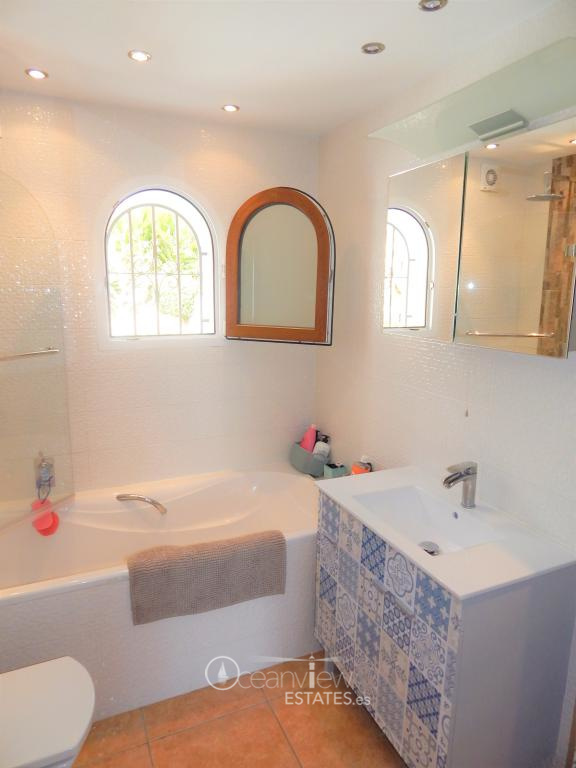 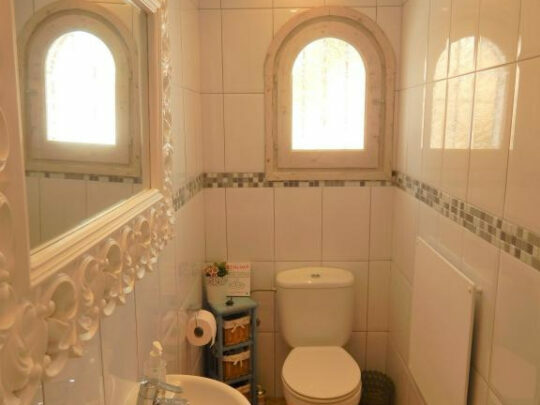 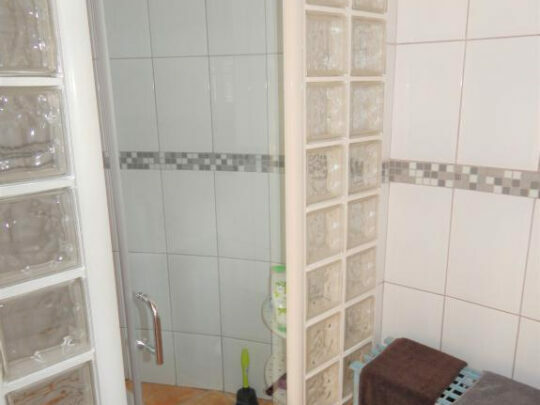 There is also a second bedroom, full bathroom and guest toilet. 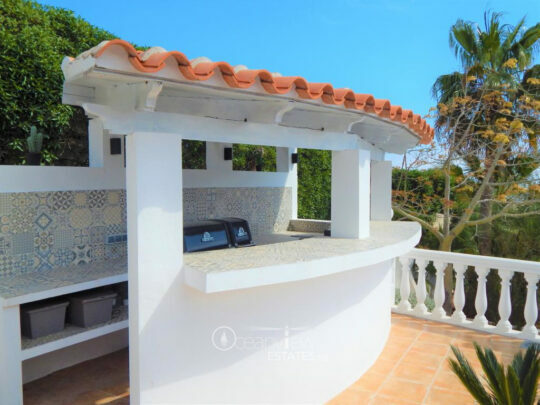 From this level you can also enjoy the outside bar, kitchen and relaxation area. 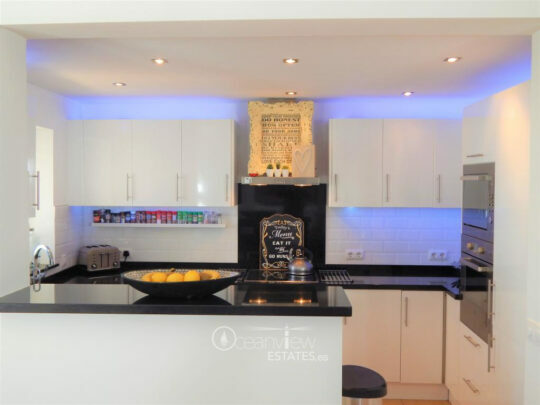 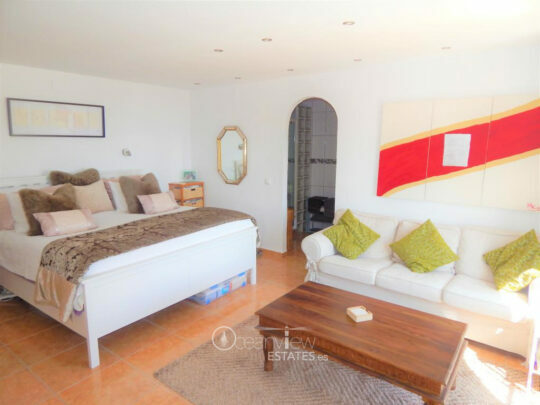 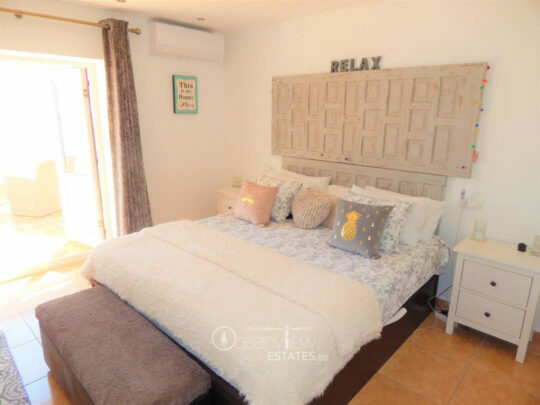 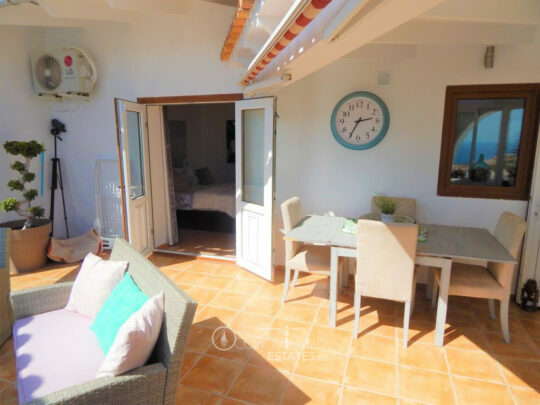 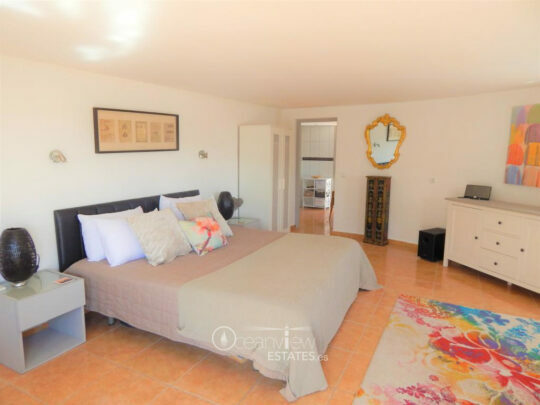 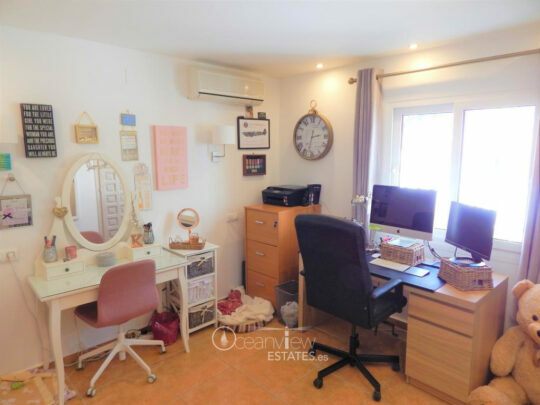 On the Second level you will find 3 further bedrooms, one with en-suite, a separate bathroom plus shower room, with access to covered terrace overlooking the sea. 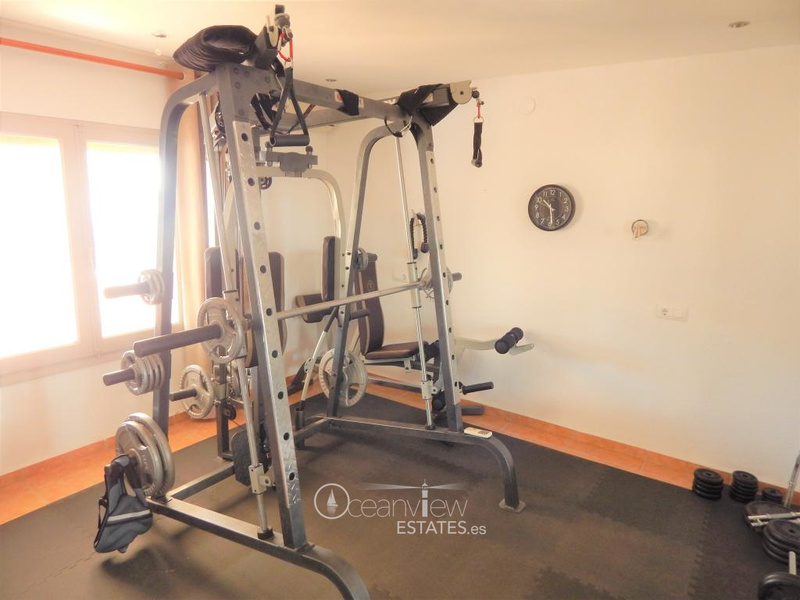 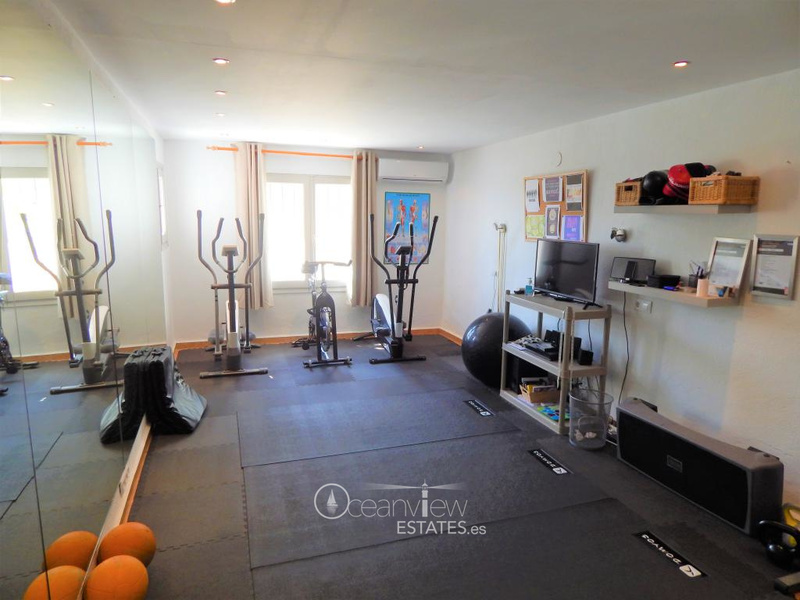 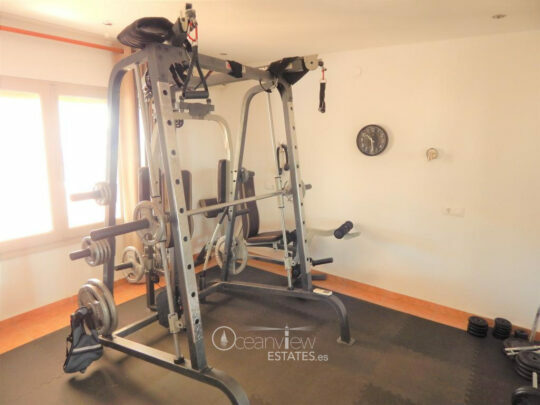 Two of the bedrooms are currently being used as a private gym. 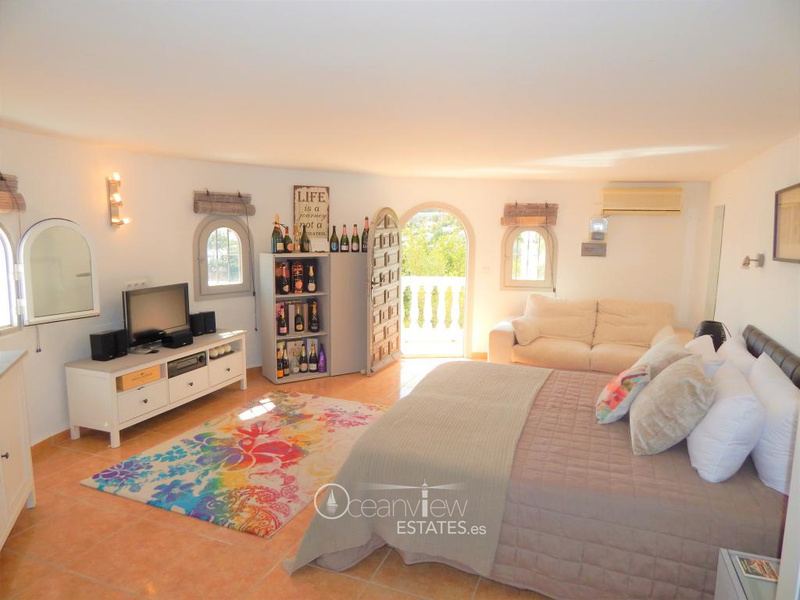 From the 3rd level you have a large guest bedroom, Bathroom, and the spacious pool terrace. 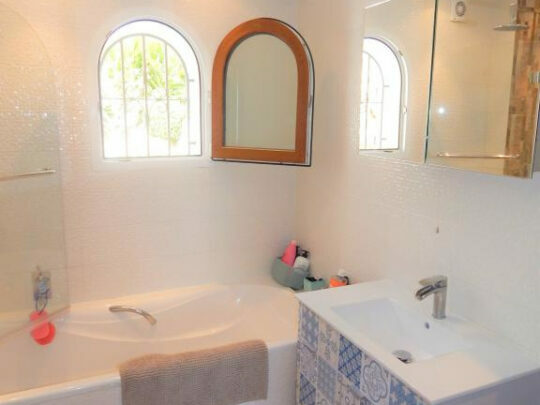 The property has hot and cold air conditioning throughout and has a double private garage for two cars.